Jokes about toilet paper to ones of a more phallic nature. On Friday afternoon the RNC sent out a fundraising email that included the new campaign logo for Donald Trump and his choice for Vice President, Mike Pence. The logo features Trump's Make America Great Again! 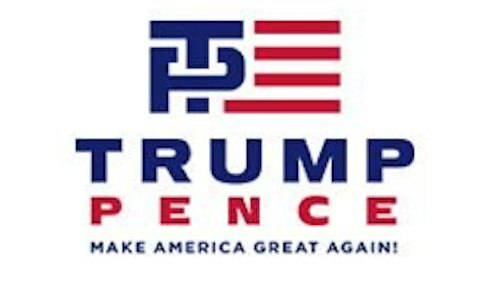 slogan and then the letter T for Trump going through the letter P for Pence. Twitter has been having a good deal of fun with the penetrating nature of the new logo. Check out some choice tweets below. On the left, the Aryan Nations logo.